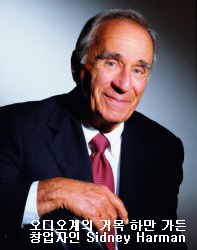 2011년 4월14일 오디오계의 거목 하만 가든 창업자인 Sidney Harman씨가 별세했다고 공식 발표했다. 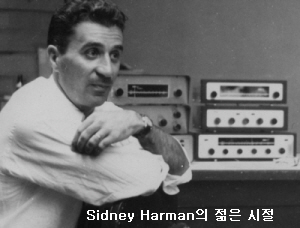 현재 동사 명예 회장으로 있었든 Sidney Harman씨가 4월12일 사망 했다고 발표했다. 향년 92세의 나이로 타계 했다. 하만 가든 사는 오디오 업계의 오랜 역사와 전통을 이 여온 메이커로 한동안 우리나라 초기에 동사의 많은 종류의 각종 제품들이 소개된바 있으며 진공관 앰플리파이어로 명기인 Citation I 프리와 Citation II 파워 앰프 제품 등 상단수가 있다. Harman씨는 1953년 HARMAN사를 창업. FM 라디오 튜너와 세계 최초의 스테레오 리시버 앰플리파이어 등을 harman kardon 브랜드로 출시 주목을 받은바 있다. 1977년 임시 회사에서 벗어나 미국 상무부 차관으로 공직에 있었으며 1980년 복귀하고는 각종 인수 등을 통해 사업 내용을 확대하고 오늘의 하만 인터내서널을 만들어 냈다. 그의 부인도 상원위원으로 활동한바 있었다. 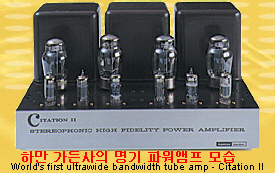 하만 클럽은 현재 harman kardon을 비롯해 JBL이나 AKG, Infinity, Lexicon, MarkLevinson 같은 유명한 오디오 브랜드를 산하에 두고 있다. It is with deep sadness that we at HARMAN announce the passing of our company’s Founder and Chairman Emeritus, Dr. Sidney Harman. Following an extraordinary life of business achievement and public service, Dr. Harman was claimed by a sudden and unexpected illness on April 12, 2011. “Sidney Harman’s legacy of leading-edge innovation and premium quality will continue to live on at HARMAN,” said Dinesh C. Paliwal, the company’s Chairman, President and CEO. “I am grateful to Dr. Harman for the trust he placed in his successors to carry on these remarkable traditions. He will be long be remembered for his charm, curiosity, philanthropic interests, and dedication to both employees and customers. Dr. Sidney Harman co-founded the business that bears his name in 1953. Blending an early interest in audio and the arts with his doctoral studies in business and education, he introduced one of the first FM radio tuners and the world’s very first stereo receiver. This passion led to countless other innovations, including the early Harman-Kardon stereo systems that are still coveted by enthusiasts from every generation. In 1977, Dr. Harman took a brief detour from his audio career to assume a post in public service as Deputy Secretary of the United States Department of Commerce. He returned to the business in 1980 and, within 15 years, had consummated a dozen new acquisitions, creating the powerhouse of brands that differentiates HARMAN today. He retired from service to the company in 2008. Amidst these remarkable business achievements, Dr. Harman has touched lives in many ways. He served as a Fellow of the American Academy of Arts and Sciences; as a member of the Board of Business Executives for National Security; and a as member of the Board of Trustees of Freedom House. He served on the Council on Foreign Relations; as President of the Harman Family Foundation; Vice Chairman of the Corporate Fund Board of The Kennedy Center; and as a Professor at the Marshall School of Business of the University of Southern California. Dr. Harman gave generously of himself as a member of the Board of Trustees of the Shakespeare Theatre Company in Washington DC, where he endowed the beautiful Harman Center for the Arts as a true cultural icon of the nation’s capitol. He also endowed a Writer in Residence visiting professorship for Baruch College at City University of New York, empowering other talented communicators to share their passion. He has shared his own communications skills as author or co-author of two books, and numerous articles on productivity, quality of working life, and economic policy. As Dr. Harman approached the vigorous age of 93, he launched yet another extraordinary venture with the purchase of Newsweek magazine in order to pursue his long-lived passion for the communications arts. He is survived by his wife, the honorable former Congresswoman Jane Harman of California, eight children, ten grandchildren, and countless friends across the world.